Vanilla Almond is next up in my vanilla review line up from Pure Integrity Candles. So far, I’ve been pretty impressed with all their vanilla scents… hopefully, this one will become another one I can’t live without…. time to find out!! This was a weird scent for me… the first cold sniff didn’t move me at all… I smelled a weird “twang” to it that I didn’t like… which must have been the almond. Still, I never judge a candle by first impression alone… I can’t tell you how many times I’ve smelled a candle that I didn’t like and then absolutely loved it once it started burning. Fragrances have a way of doing that… it either changes or it just grows on you after awhile. It’s a funny thing. Unfortunately, this scent never quite grew on me and I burned the entire candle for 3 days straight. I sniffed it and sniffed it hoping it would render me speechless making me change my mind but it didn’t. I know many Candlefind members who absolutely LOVE this scent so I know it’s popular, it just wasn’t for me. I could smell that wonderful PI vanilla but the almond component just didn’t grab me. I think I would have liked more sweetness or bakery notes in this scent and I didn’t get that. It was just my lovely vanilla with a straight almond. So, Pure Integrity nailed the scent folks, it just wasn’t one my nose personally cared for. This candle was strong too… one candle filled my entire master bedroom and large adjoining bathroom with fragrance and the aroma even drifted into the hallway as well. The strength wasn’t too overpowering… just a steady drum of fragrance throughout. It was nice. This candle was really pretty to watch burn… watching it glow and flicker adds the perfect ambiance to a room. In closing… I think if you like a nutty vanilla, no sweetness, no bakery, you will like this scent. It’s strong and true to it’s name. Okay, so we now have a vanilla from Pure Integrity I didn’t care for. I’m shocked! LOL!! One aspect to reviewing, I rate a candle by performance, strength and authenticity and this candle delivered on all three perfectly. I just didn’t care for the scent. Totally personal. As I stated before, I know many who adore this one. But if you follow my reviews and have similar taste to mine… you probably won’t care for this one. On the other hand… if you love true classic vanilla scents but with added almond notes… (not sweet) give this one a try. It’s pretty authentic. Even though I didn’t personally care for the scent, it still rates at a 4.5. It burned perfect, was authentic and was strongly scented. 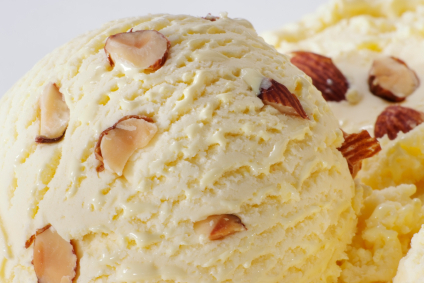 Have you tried Vanilla Almond from Pure Integrity? Review it with us. In the comment section below, review and star rate your experience… it’s easy! 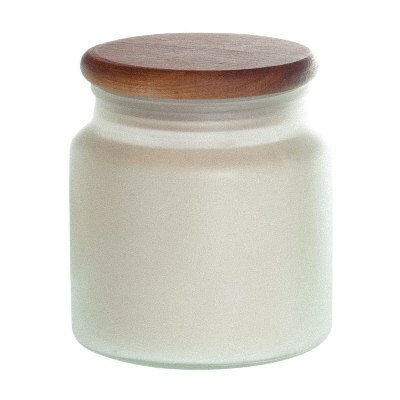 Scent description - "Alluring creamy, vanilla beautifully combined with oven roasted almonds. Irresistibly wonderful!" I’m a huge candle lover or as my wife likes to call me, “a candle whore” Lol. Anyway out of the literally hundred candles I have on hand to burn at any time I would place the Pure Integrity, Vanilla Almond candle in my top ten if not higher favorite candles. The scent is simply out of this world. This candle will have your entire first floor smelling amazing. If your a vanilla lover with a hint of almond this candle is for you. I can pretty much garuntee you that this will be one of the best candles you’ve ever bought. That’s how great it smells and how well in burns. If your tired of crappy candles you will not be disapointed with this Vanilla Almond candle or Pure Integrity and their other candles as a whole.